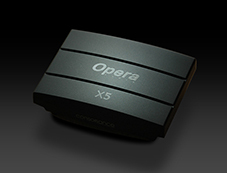 The X5 is actually an optimized computer designed for audio streaming connects a DAC through the USB2.0 port.It used ARM V7 1.5Ghz quad core CPUs make more higher ability and performance of the processing and the high definition audio playback.It has a slick Web-based control interface. Use it with any browser, with any device: Mac, PC, Android, iOS or anything with a browser.Everything from configuration to Playback is just a fingertip away. 1. Web-based control interface.Use it with any browser, with any device: Mac, PC, Android, iOS or anything with a browser.